Every day, there are millions of packages being delivered all over the world. While it’s important for couriers to make sure that the package will arrive in good shape, it’s their responsibility to deliver a great shipping experience as well. Although this is true, there are still instances when packages are not delivered on time—and this can be really frustrating for the shippers. The estimated transit time is intended to be as accurate as possible. With its help, shippers can plan ahead on when they should expect their shipment and arrange a pickup. Unfortunately, there are unforeseen circumstances that can cause shipments to arrive late. But before delving into that, there are certain things that you need to know first. How Do You Check If Your Package Is Delayed? Every courier company has its own tracking system. In here, shippers can monitor the progress of their parcels and spot unusual statuses when they appear. Hence, the best way that shippers and receivers can check whether their package is delayed or not is by monitoring it through the tracking system provided by the company. Once you notice any unusual status in the system, make sure to report it immediately to your courier company. Most often than not, these companies have freight operators from organizations that office Back Office Offshoring Services. With their assistance, you’ll be able to confirm if the carriers encountered problems in the progress of the delivery. What Is the Significance of Tracking Numbers? Each package has its own tracking number assigned to them. This is used by courier companies to make package identification and internal communication easier. Once the shipper books the services of a courier company, they will receive a tracking number that they can use to track their packages. Without this, the carrier will have a hard time locating their order in their system. If you want to avoid shipment-related problems in the future, it’s recommended by Offshore Back Office Solutions experts that you take note of your tracking number. How Often Is the Tracking System Updated? Once shipments arrive in local depots, they are scanned in order to update the tracking system. For this reason, it usually takes a few hours or more than one day for the tracking system to become updated. Every time that the carriers scan your package, you will see a new status in the tracking system. In here, the carriers can also display why there are delays in the delivery. Without any doubt, delivery delays can cause great inconvenience to the shippers. There are several possibilities why a package can get delayed during its delivery—it can be human error or inevitable circumstances. To discuss further, here is a list of the common reasons why packages are delayed according to carriers all over the world. One of the worst case scenarios why your package can get delayed is because it got lost along the way. In some cases, packages get lost because the carrier misplaced the item. In others, it’s because the shipping label got damaged or lost. Regardless of the reason, lost packages can be frustrating for shippers and receivers. In order to protect all the stakeholders involved from this mishap, courier companies see to it that their truckers provide a proof of delivery receipt. Normally, courier companies send out confirmation emails to their shippers after they place an order. When you receive this email, it’s fundamental that you check the details thoroughly for any errors. One of the common reasons why packages get delayed is because of the shipper’s failure to write down the correct address. 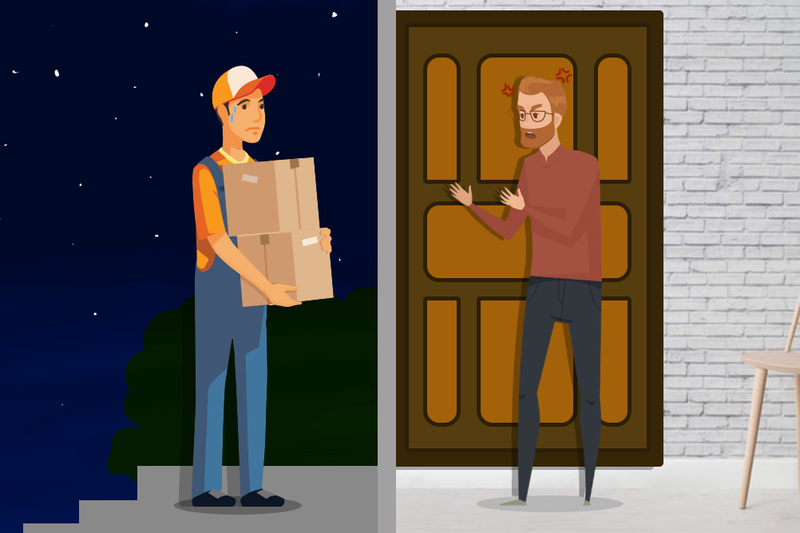 Once the trucker sets out to find the address where the package should be delivered to no avail, the truck driver will no longer attempt to deliver it again. The only way that they’re going to set out again to deliver the package is when the customer gives them all the correct details that are necessary. For this reason, it’s crucial that you are mindful of the address you write on the form. See to it that the address you place is spelled correctly, complete, and updated. When you’re filling out the form for your order, you should always see to it that you don’t leave a field in the order form empty. Aside from that, it’s also a good practice to be mindful of the information you write on the forms given to you. Order forms are adjusted by courier companies to cover all the necessary requirements to deliver packages successfully. That’s why if you want to have a smooth delivery process, it’s important that you complete your forms correctly. Another reason why packages get delayed is the redirection of the package. This delivery delay often happens when the shipper suddenly decides to change the delivery address they gave to the carrier. Once the information you gave has been processed in the courier company’s system, they will have to reprocess it in order to change it—even when the new address is close to the initial address. Because of this, the redirection of your package will inevitably lead to different delivery date and time. Aside from the ones mentioned above, customs can also delay the delivery of your package. Most often than not, this situation is encountered by carriers when important documents are missing or incorrectly filled. With that said, you can avoid this delay by ensuring that you provide all the necessary documents for successful delivery. Furthermore, you should also see to it that these files have the correct information in it. In the freight and logistics industry, the accuracy of the shipper information that you encode is of high importance. Documents with unclear writing and bad printing may not seem like a big problem at first, but it can cause you a lot of problems and confusion in the future. Low pixels and gray ink make labels hard to read and scan—and if you are careless, you will be susceptible to errors. Bad weather conditions are unforeseen circumstances that are beyond the courier company’s control. 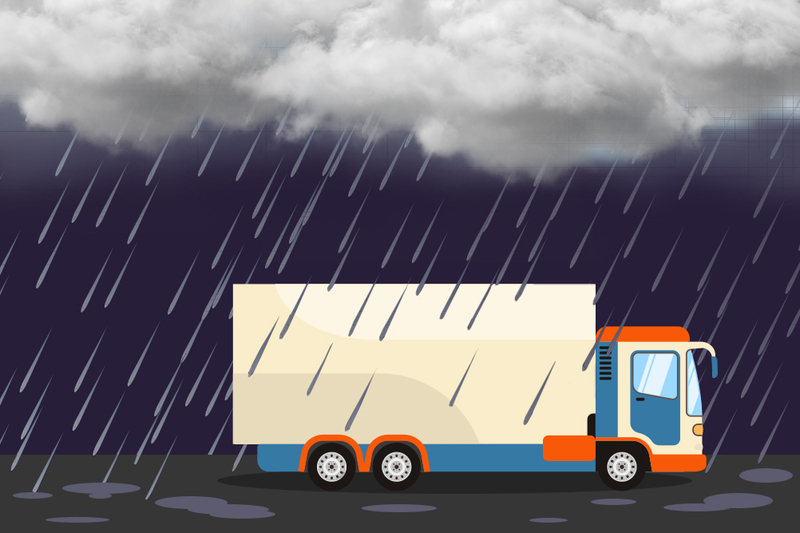 Unavoidably, bad weather can cause many dangers to the carriers—and just like in other business organizations, safety is a priority for courier companies. Bad weather conditions have the capability to block roads and slow down transit. Hence, it can be a possible reason why the delivery of your package is delayed. Courier drivers follow a predetermined route during their deliveries. With that said, the location of your address can determine the delivery time of your package. When the delivery volume increases in number, it is likely that your package’s arrival will be delayed. Most often than not, courier companies experience this high delivery volume during peak seasons such as Christmas, New Year, online shopping events, etc. Although this is less likely, there are instances when the recipients refuse the package that is delivered to them—and this can cause the delay of the package’s delivery. In some cases, this is because the recipient was uninformed of the shipment’s delivery. For this reason, it’s essential that you inform your recipient that a package is being delivered to their address. 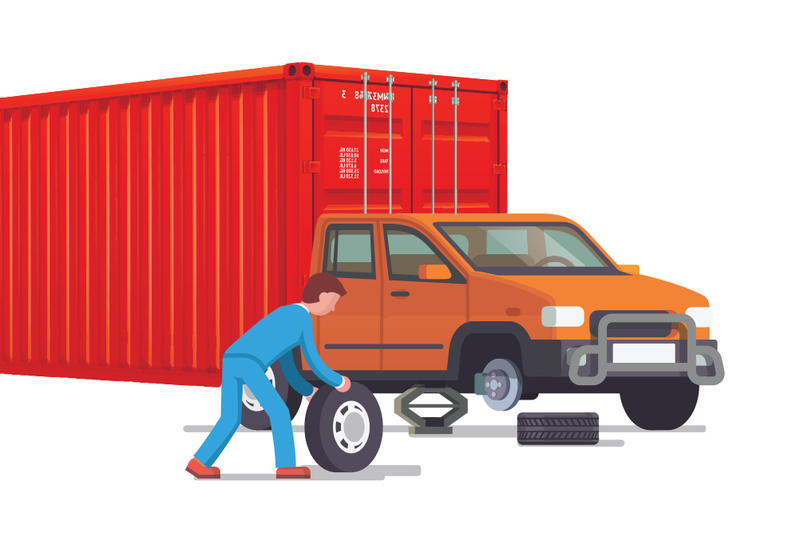 No matter how expensive or cheap the delivery trucks are, they are bound to break down at some point—it’s a part of the truck’s lifecycle. The courier companies are aware of this. That’s why they are now availing of modern technology to help them locate and dispatch the nearest driver to the delivery truck that’s experiencing vehicular issues. With its help, carriers are now able to relay all the packages to their end destinations on time. Unfortunately, there are instances when these breakdowns happen during a shipment in route. When this happens, it can cause disruption to the shipment in process. The mishap can take place midway or on the last mile of the delivery. Because of this, vehicle breakdowns can force an inevitable delay to the trucker’s shipment delivery. Ideally, shipments should arrive on time to its end destination without any issues or delays. But unfortunately, that is only possible in a perfect world. Although this is true, there are emerging advancements in technology at present that are designed to help courier companies lessen the chances of delayed packages. One of the things carriers can do during these package deliveries is to maintain consistent communication with their transportation partners. By doing this, they will be able to ensure the successful delivery of the packages entrusted to them. Furthermore, carriers can also give shippers and receivers the peace of mind by making all necessary information available to them. Courier companies should make it to a point that they communicate honestly and directly to their customers or retailers when a delay is going to take place.